Stress can cause a lot of negative side effects for the body. If you are chronically stressed, you might be grinding your teeth, which could wear them down and cause headaches. Some people can see or feel the impact of grinding, but most people do not even realize they are doing it until they visit a dentist. Gastroesophageal reflux disease (GERD) causes acid to move from the stomach back into the esophagus. This chronic disorder exposes the teeth to an overabundance of acid, which can break down enamel and lead to erosion. If left untreated, this condition could eventually cause the teeth to crack. If you notice that your teeth seem like they are crumbling, GERD could be the cause. Certain medications come with side effects that can be seen in the mouth. Excessive gum growth is often a sign that your medication dosage might not be right for you. If you notice that your gums are bigger than before, you should make an appointment with your dentist so he or she can determine if your medication is the cause. Diabetes can negatively affect oral health and poor oral hygiene can increase diabetes symptoms. If you do not already know that you have diabetes, the condition of your teeth and gums could give you a hint. Dry mouth, for example, might be an indication that your body is not properly processing blood sugar. 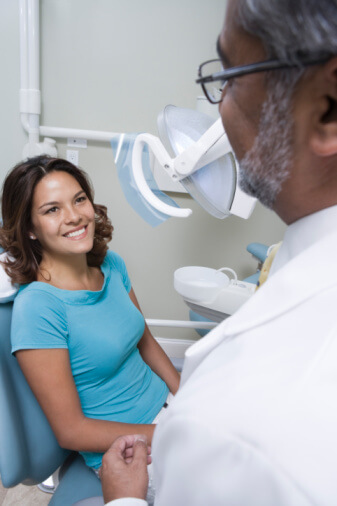 Dr. John Carson and his dental team are here to help you get relief for your oral issues. Our staff will do everything they can to find the cause and the best treatment for your problems. Call (520) 355-4855 to schedule an appointment with one of Tucson’s top dentists. If your dentist determines that enamel abrasion or gum recession is causing your sensitivity, he or she will probably recommend that you start using a brand of desensitizing toothpaste. This toothpaste is specifically designed to fill tubules in the dentin that could be causing your sensitivity issues. Follow up with a fluoride rinse to fight harder against the decay that is causing your discomfort. If your teeth are already on the sensitive side, plaque buildup can make the problem worse. Keeping your teeth and gums clean helps you stop plaque before it even starts. Dentists usually recommend that patients brush twice a day for at least two minutes at a time. It is important to use a toothbrush with soft bristles to avoid any further damage to the tooth enamel. Tobacco, especially chewing tobacco, is incredibly dangerous for the mouth. Not only does it increase one’s risk for mouth cancers, but it also causes gum recession. As one of the leading causes of tooth sensitivity, this side effect of chewing tobacco might have a really negative impact on the way your mouth functions. If you smoke or chew tobacco, you should make an effort to quit to protect your teeth and gums. If you are dealing with sensitive teeth, John R. Carson, D.D.S. can help. Come in today and Dr. Carson will examine your mouth to find the root of the problem. Our office can also help with restorative and cosmetic dentistry issues. To learn more about our services or to schedule an appointment, visit us online or call (520) 355-4855. There will come a time in your contact sports career when you take a hit in the mouth. If you are wearing a mouth guard when this happens, it will absorb a majority of the force of the hit to keep your entire mouth safe. Simply wearing a sports guard significantly lowers your risk for broken teeth and injuries to other parts of your mouth that would require dental attention. Even one chipped tooth can ruin the aesthetics of your smile. 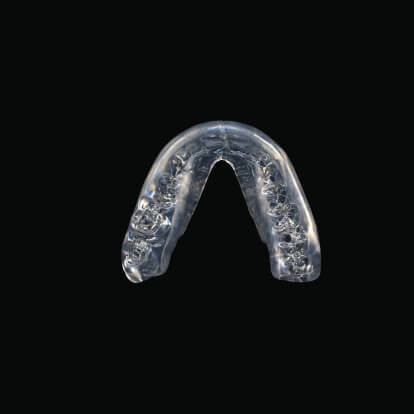 When you wear a mouth guard during your practices and games, you can avoid an unnecessary injury that takes away some of the aesthetic appeal of your smile. A sports guard could keep you from suffering with broken or missing teeth. Researchers have found that athletes who do not wear a mouth guard are 60 times more likely to injure a tooth. If you wear braces or have dental bridges, it is especially important to protect your mouth while you play contact sports. A simple game of football, hockey, or even basketball could knock out a bracket or damage a wire, which will send you straight back to the dentist’s chair. A custom-fit sports guard protects your mouth and your orthodontic appliances to ensure that you remain injury free throughout the duration of the game. John R. Carson, D.D.S. offers some of the best general, preventative, and restorative dentistry services in Tucson, Arizona. Come in today to get fitted for a custom sports guard that protects your teeth while you play. Dr. Carson also offers dental crowns and other cosmetic dentistry services like teeth whitening. To learn more or to schedule an appointment, call (520) 355-4855. Poor oral hygiene is normally associated with bleeding and swollen gums, cavities and tooth loss. Cancer of the mouth and throat are usually associated with heavy drinking and tobacco use (smoking or smokeless). However, there is also a risk of developing cancers of the mouth and throat by avoiding good oral health practices. A recent study covering European cancer patients and control subjects from nine countries revealed a direct link to poor oral hygiene and the development of certain mouth and throat cancers. The study involved Bremen, Germany’s Leibniz Institute for Prevention Research and Epidemiology and Glasgow University Dental School researchers. It was found that those with infected gums as well as those with dentures, both full and partial, were at a higher risk for developing cancer in the mouth and throat. Denture wearers were found to be in the poor oral health group because many believe that because they do not have their own teeth, there is less of a need to see a dentist. Non-denture wearers were classified as poor dental health targets if they rarely or never brushed their teeth or made dental visits. Another earlier study conducted in 2013 and published in the Cancer Prevention Research journal revealed that those with poor oral health were at a 56 percent higher risk for developing human papillomavirus (HPV). Although HPV is most commonly known to cause sexually transmitted diseases in the genital area, certain types can form and infect the mouth and throat (oral HPV). Oral HPV normally thrives at the base of the tongue and around the tonsils causing what are known as ‘oropharyngeal cancers’. When bacteria are allowed to grow and thrive in the mouth due to poor oral hygiene practices, they can infect the mouth and throat areas causing changes in cell growth. Although the body’s immune system usually fights off such infections, a weak immune system or the use of agents such as tobacco and alcohol can accelerate the process. Symptoms of the possible presence of mouth and throat cancer include pain when swallowing, sore throat, persistent oral sores, hoarseness, earaches, enlarged lymph nodes and a rapid loss of weight. Maintaining good oral health significantly reduces the risk for developing mouth or throat cancers. Daily brushing and flossing, along with regular visits to a dental professional and avoiding tobacco and alcohol use, will help to ensure that you have a beautiful, healthy smile and remain mouth and throat cancer-free. Want to see all the other health issues that can stem from not taking care of your teeth? Check out our interactive dental resource! It’ll change the way you think about oral health! Thanh Cong Bui, Christine M. Markham, Michael Wallis Ross, et al. “Examining the Association between Oral Health and Oral HPV Infection” Cancer Prev Res. August 21, 2013. 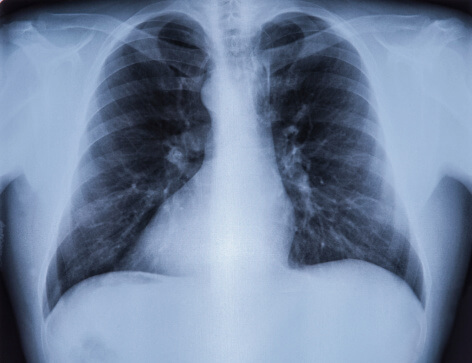 When cold and flu season rolls around, many people are concerned that they may develop pneumonia. Although pneumonia is mostly a nuisance in younger people, the elderly are more drastically effected and can even die from it. With the Baby Boomer generation hitting retirement age en masse over the next couple of decades, pneumonia is a major concern. One easy and proactive way to help prevent the risk of pneumonia is through the practice of good oral health. A study released by the Yale University School of Medicine further solidified a link between bacteria that grow in poor oral conditions and their affect on the lungs. Lung infections like pneumonia were found to develop and worsen in those who had poor dental health and greater mortality rates were also found in people who had more severe oral problems. Lung infections can more easily occur when bacteria, fungal agents and their toxic byproducts are allowed to grow and multiply in the mouth due to poor oral hygiene. These microscopic agents are released from their incubatory nests of infected gums and dental caries and are breathed into the lungs where they can continue to thrive. Aspiration pneumonia is one such ailment that can develop through this process. The development of pneumonia and other lung infections can be greatly lessened by practicing simple good oral health procedures. Dentists recommend brushing teeth twice daily for at least two minutes each time using a toothpaste containing fluoride. It is also advised to floss between teeth before each brushing in order to rid bacteria and plaque that tends to stick in these hard to reach places. Also, reduce sugar intake and avoid tobacco and alcohol use. To ensure that your mouth and teeth remain healthy, you should make at least two dental appointments yearly for maintenance and early detection of oral problems. A dental professional can eliminate tartar buildup more thoroughly, provide expert instruction on dental care and rapidly cease and repair any damages that may have started through various oral problems. Reducing your risk of acquiring pneumonia can be as easy as practicing good oral health and that is a major plus during each cold and flu season. 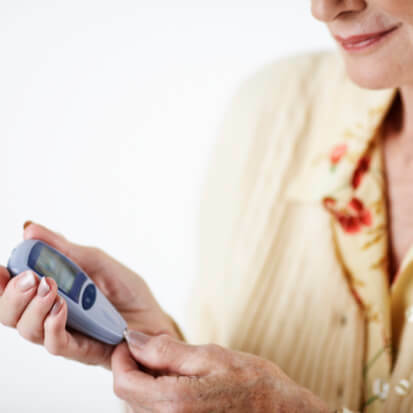 Diabetics have a higher chance of suffering from periodontal disease because they are more susceptible to infections. 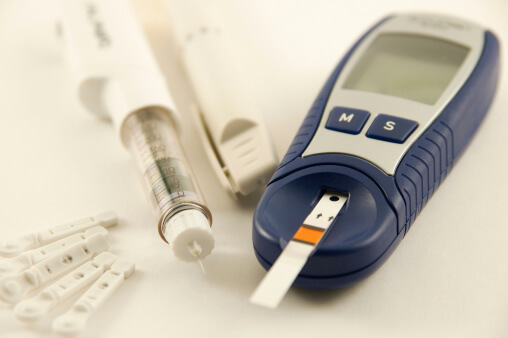 If you do not make an effort to control your diabetes, you have an even higher risk of developing periodontal disease. Diabetics should work closely with their dentists to ensure that they properly clean and care for their teeth and gums to reduce this risk for infection. When it comes to diabetes, one of the worst side effects of periodontal disease is the fact that increases blood sugar levels. This can be very dangerous for a person who is already struggling to control their sugar. High blood sugar might increase symptoms like increased thirst, excessive tiredness, and blurry vision. If you have gum disease, it is important to seek treatment to avoid these increased blood sugar levels. Diabetes could actually thicken the blood vessels, which makes it harder for the body to move important nutrients throughout the system. Thicker blood vessels also make it more difficult to clear waste. Both of these factors hinder the gum and bone tissue from preventing infections. Increased sugar levels in the blood also leave the body more susceptible to bacteria, which could increase the risk for infection even more. If you have diabetes, Dr. John Carson can help. As one of Tucson’s top dentists, Dr. Carson offers treatments for gum disease as well as general and preventative treatments to keep your teeth and gums healthy. From dental crowns to cosmetic dentistry, our office provides the services you need to maintain your oral health. For more information on our services, visit us online or call (520) 355-4855. When you lose a tooth as a child, it’s usually nothing to be concerned about. When you lose a tooth as an adult, however, it’s usually as a result of poor oral hygiene, and the consequences can be serious. As this article explains, there is a direct correlation between your oral health and how likely you are to lose teeth as an adult. Causes of tooth loss. While facial injuries can cause tooth loss, the most common reason that people lose teeth after the age of 35 is periodontal disease. Also known simply as gum disease, periodontal disease is a serious infection caused by bacterial growth as a result of plaque. It attacks your gum tissue, causing your teeth to loosen and eventually fall out. Symptoms of gum disease include chronic bad breath, bleeding gums, and overly sensitive teeth. Risk factors for tooth loss. According to a 2005 study by the Journal of Periodontology, men 35 and older who never visit the dentist or brush their teeth are at the highest risk for losing their teeth due to oral health problems. Other risk factors for tooth loss include being a smoker and having diabetes, high blood pressure, or rheumatoid arthritis. How to prevent tooth loss. The surest way to protect yourself from possible tooth loss is to maintain good oral health. This means brushing twice a day, flossing at least once a day, and visiting your dentist every six months for a checkup and cleaning. 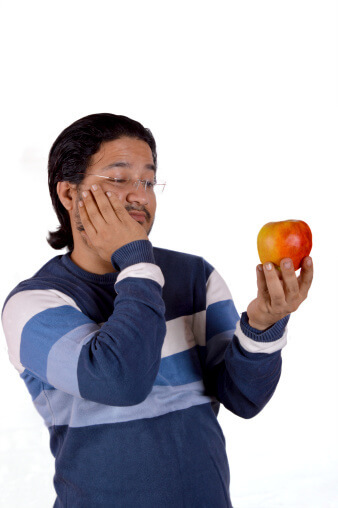 The more diligent you are about keeping your teeth strong and healthy, the less likely you are to lose them. If you are looking for a dentist in the Tucson area, come to John R. Carson, D.D.S. Our friendly staff is committed to providing our patients with exceptional dental care, from routine cleanings to root canals to dental crowns. You can learn more about our dental services by visiting our website, and you can schedule an appointment at our Tucson office by calling (520) 355-4855. If you are a woman either contemplating a pregnancy or currently pregnant, you should know that periodontal gum disease has been shown to increase the chances of having a pre-mature and/or low weight birth. It has also been found that hormonal changes in women, such as occur during pregnancy, can make women more prone to contracting and escalating periodontal disease. Periodontal disease, or periodontitis, is a disease of the gums and supportive tissues of the teeth. Periodontitis causes the tissue to shrink and pull away from the teeth, exposing the underlying foundational bone to bacteria. If not treated, periodontal disease will damage the jawbone and cause teeth to loosen and come out. During hormonal changes, women experience fluctuations in their chemistry that often make their gums more sensitive and susceptible to bacterial invasion. If good oral health isn’t pursued, especially prior to and during pregnancy, these bacteria can enter the bloodstream and infect the reproductive system, including the womb and its fetus. The main contributing factor identified through research is that bacteria entering the reproductive system can cause genitourinary tract infection which triggers a rapid increase in labor-inducing biological fluids which can cause premature delivery. Bacteria associated with periodontal disease have been identified as a source of genitourinary tract infection and, thus, to premature and low weight births. 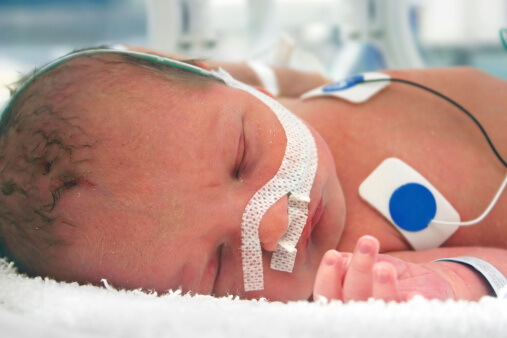 There are approximately 250,000 babies born prematurely in the United States that weigh less than 5.5 pounds. It has been suggested through studies that as many as 18 percent of that number are due to periodontal infection. It has also been suggested by doctors that a 50 percent decrease in preterm and low birth weight children, as well as Chlamydia, bacterial vaginosis and other reproductive tract infections, can be achieved by simply following good oral health practices. It is, therefore, extremely important for women to stick to a consistent regiment of good oral health practices while going through pregnancy. However, practicing good oral hygiene is important all the time, not only during times of pregnancy since bacteria which grow in the mouth have also been linked to numerous other health issues, many of which are quite serious. Dentists recommend forming a habit of good oral hygiene through the twice daily brushing of teeth and flossing beforehand to remove plaque and food items stuck between teeth. Two or more dental maintenance visits are also recommended so that dental problems can be avoided or detected and treated early. The human body is an enclosed environment that operates smoothly until foreign bacteria and viruses enter and threaten the balance of the system. There are limited ways in which such adversaries to health can enter the body: through the lungs, breaches (wounds) in the skin, and the mouth. Most people do not relate the mouth with interior infections, but the truth is that many billions of bacteria grow and thrive in the mouth, some of which are beneficial and some of which are detrimental. Harmful bacteria and the toxic waste byproducts they create in the mouth normally breach the protective barriers of the body through the circulatory system. This normally occurs through poor oral health when bacteria are allowed to multiply causing gingivitis (swelling and bleeding gums), dental caries (tooth decay and cavities) and periodontitis (deterioration of the tissue surrounding the teeth). When gums bleed, tooth enamel is compromised, or bone is damaged from these dental problems, doorways are opened for harmful bacteria to enter into the circulatory system. Diabetes is one of the health problems complicated by oral bacterium. It has been found that tissue inflammation caused by oral bacteria (both in the mouth and internally) weakens the body’s ability to utilize insulin and control of blood sugar. This has a cyclic effect since high blood sugar actually provides ideal conditions for oral bacteria to grow, thus compounding the problem. Another cyclic effect occurs between diabetes and poor oral health conditions as well. Gum disease, particularly periodontitis, is exasperated by diabetes because the immune system is weakened which is used to fight oral infections. Therefore, people with diabetes must not only practice good oral hygiene to ward off gum disease and minimize bacterial risk, but they must also control their blood glucose levels which can increase gum disease risk significantly if they are unbalanced. Those suffering from diabetes should, therefore, make frequent visits to their doctor to ensure that their glucose levels remain stable. However, they should also regularly schedule dental appointments to ensure their oral health remains stable as well. In either case, both diabetes health and oral health can be improved by brushing teeth twice daily for two or minutes each time and using dental floss before brushes to remove excess plaque and food particles. Osteoporosis is a deterioration of the bone that mainly occurs due to insufficient calcium consumption. The disease has become common in the United States, especially in the elderly who often fail to intake their daily calcium requirements. It has been found that eating a healthy diet high in calcium-rich foods has far greater benefits than depending on calcium supplements. Dental health is significantly affected by osteoporosis and can lead to severe tooth loss from the weakening of the foundational bone that holds teeth in place. Those who practice poor oral hygiene and develop periodontal disease (the breakdown of gum tissue and underlying bone deterioration from oral bacteria) are much more prone to suffer tooth loss and complications arising from it. Women have a much greater susceptibility to osteoporosis and, therefore, related dental problems. This comes via a two-fold process. First of all, women lose a great deal of calcium throughout their lives from their menstrual periods. Calcium exits their bodies through the loss of blood and, if not adequately replaced, can lead to earlier and more severe cases of osteoporosis. The second problem lies in hormonal changes that occur during menopause. Again, unless therapy is pursued to replace hormone imbalances, bone deterioration occurs more rapidly and more severely. The combination of calcium loss and hormonal changes can add to a more rapid deterioration of the jawbone which causes more pronounced cases of tooth mobility and eventual loss. 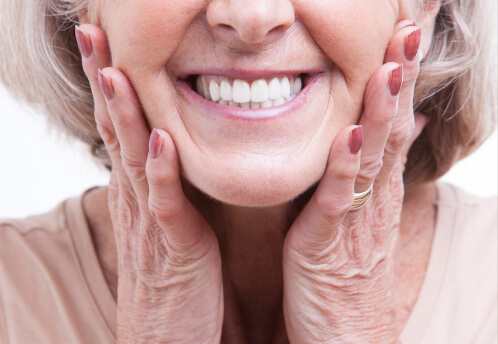 Denture wearers are also affected by osteoporosis. The bone structure that holds dentures into their correct positions can deteriorate and change which leads to loose and uncomfortable dentures. Dentures that do not fit properly can aggravate the gums and produce sores, infection and other oral problems. Those who have osteoporosis and wear dentures will find they need to schedule more frequent visits to their dentist in order to have new dentures made to fit their changing jawbone structure. 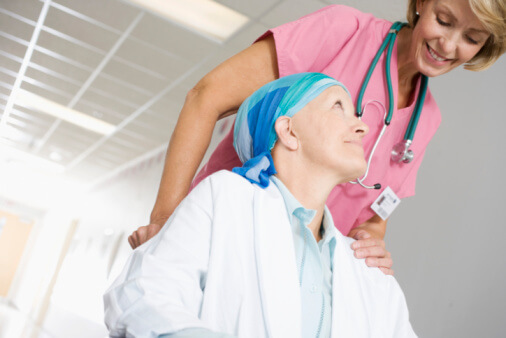 Women suffering from osteoporosis face other oral hurdles as well. For example, surgical procedures for dental issues are recommended less often. The best method for women to ensure good bone health is to eat a well-balanced with extra foods containing calcium and vitamin D. Good dental hygiene should also be practiced while avoiding sugary foods and drinks, smoking and alcohol consumption which increase oral bacteria growth. Regular exercise should also be performed to strengthen bones. And, of course, regular visits to the dentist will help optimize oral health and detect the early stages of osteoporosis. Bando K, Nitta H, et al. “Bone mineral density in periodontally healthy and edentulous postmenopausal women.” Ann Periodontol 1998;3:322-326. Tezal M, Wactawski-Wende J, et al. “The relationship between bone mineral density and periodontitis in postmenopausal women.” J Periodontol 2000;71:1492-1498.